Chipmaker's data-centric business accounted for nearly half of its first-quarter revenue. Strong growth in its data centre and Internet of Things (IoT) businesses led Intel to deliver strong first quarter financial results. The tech giant has released its latest figures for Q1 of 2018 in which it reported a net income of$4.5bn or 93 cents per share. Intel's non-GAAP earnings rose by 13 per cent from last year to 87 cents per share on revenue of $16.1bn. The company's financial results were able to beat Wall Street's prediction of 72 cents per share with $15.1bn in revenue. Intel attributed a great deal of this quarter's growth to its data-centric businesses which accounted for almost half of its Q1 revenue. "Coming off a record 2017, 2018 is off to a strong start. Our PC business continued to execute well and our data-centric businesses grew 25 percent, accounting for nearly half of first-quarter revenue. The strength of Intel’s business underscores my confidence in our strategy and the unrelenting demand for compute performance fueled by the growth of data." 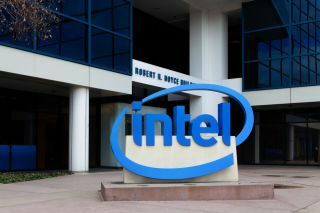 Intel's data centre unit was able to bring $5.2bn in revenue during the quarter and was up by 24 per cent year-over-year. The company's growing IoT business also helped contribute to its success this quarter with a growth rate of 17 per cent year-over-year to amount for $840m in revenue. Intel's client computing group grew the least but still managed to post revenue of $8.2bn which was a three percent increase from the previous year.